Fragrant, intensely flavoured, this unusual tapenade made with genuine Cretan thyme honey delightfully surprises even the most stern of connoisseurs. 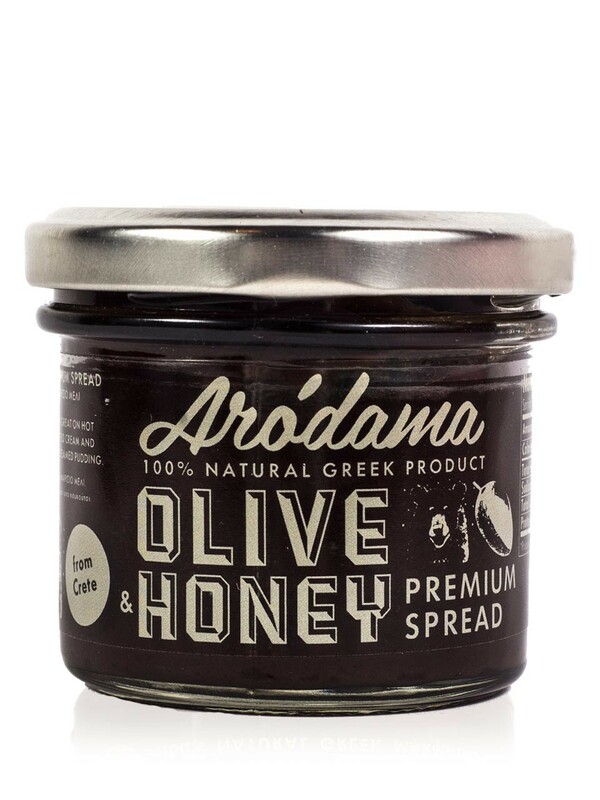 With its magically balanced combination of flavours, its savoury piquancy enhanced by just a hint of sweetness on the palate, Arodama Olive Paste with Honey is a delicacy which can be enjoyed daily in many delicious Mediterranean recipes. No added preservatives. 100% Natural. 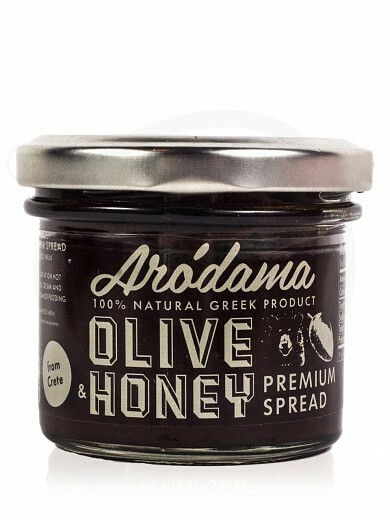 Serving tips On a slice of freshly baked bread, place sweet Cretan Graviera (Gruyère-type) or farmer’s cheese (“mizithra” or “manouri”) and 1-2 tablespoons of Arodama Olive Paste with Thyme Honey. Top with 1-2 small leaves of fresh basil or mint. For a more intense flavor, prepare small sticks of freshly baked savory cheese dipped in Arodama Olive Paste with Honey. Serve with any Mediterranean dish. 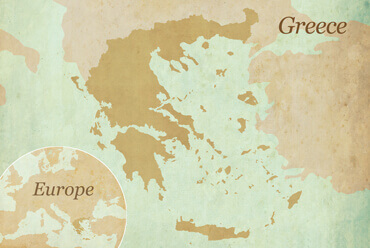 Nikos Mamidakis, with origins from Chania, Crete, after finishing his studies in Italy, travelled in several places around the world. All the experience he obtained as a child, childhood memories as well as the studying of local products, made him take the decision to offer to the world flavours and homemade recipes that were transferred for many generations till today. In that way, Arodama Company was founded. The name was taken after a legend describing that when the Titans were born, Goddess of Life in an attempt to protect her daughter, Earth, she gave her the tree of Life. That tree gave life to Earth and when a Goddess was born, one twig “Arodamos” was planted onto that tree. Gods used to taste the ”ambrosia” of that tree and become immortal. God Ifaistos asked from Goddess Athena to create founts in the area where the tree was, so Hercules could rest after his Labours. Arodama Company started exporting food products and beverages in spring 2014. It has 12 unique products with exceptional tasting characteristics, using pure raw materials, from traditional recipes. The Prefecture of Chania is on the west end of Crete which is Greece’s largest island in the southern part of the country. The prefecture is divided into five provinces (Apokoronas, Kissamos, Kydonia, Selino, and Sfakia). Its capital, Chania, is a picturesque spellbinding city. The prefecture’s terrain is mostly mountainous as most of its surface is covered by the spectacular, awe-inspiring White Mountains which captivate visitors with their pristine beauty, snow-capped peaks, and spellbinding vistas.The entire prefecture Chania county is characterized by a rich variety of landscapes - inaccessible canyons, cliffs, caves, mountains and forests of exceptional natural beauty, streams and inviting beaches with crystal clear water. 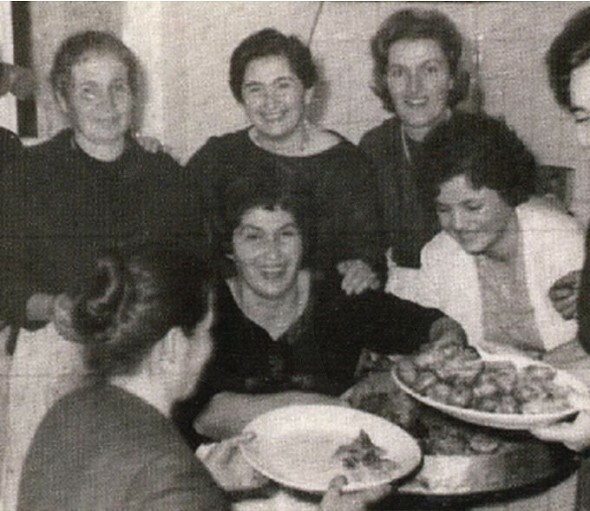 For visitors, a tour around the villages of Chania is a once-in-a-lifetime experience: the prefecture is literally dotted with countless, traditional housing clusters which, untouched and unchanged by Time, retain most of the characteristics of yore, showcasing strongly those cultural elements that make Crete a land like no other. Cretan hospitality, Crete’s distinctive and vibrant cuisine, and traditions handed down from generation to generation, all promise an unforgettable experience. Chania’s history is a long and significant one, with a great number of archaeological monuments and extant structures corroborating to Chania’s absorbing and varied past. 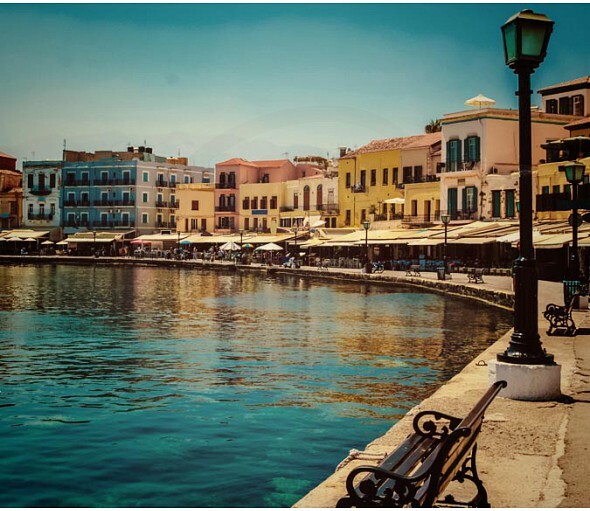 Chania enjoyed great economic power during the period of the Minoan civilization, followed by the Roman, Byzantine, Venetian and Ottoman occupation.The city of Chania is the capital of Greece and has preserved its centuries-old historical legacy almost intact. Many have been the scientists, philosophers, poets, and artists who, drawn by the city’s magical ambiance at one time or another, turned it into a cultural hub. Spicy pâté that tops tapenade!